Carol Scott has been the Living Waters / Way of the Master set photographer since 2003. The award-winning television series "The Way of the Master" is hosted by Kirk Cameron and author Ray Comfort. 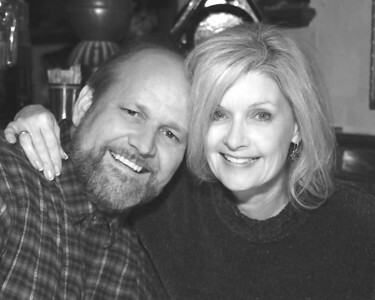 Stuart Scott (Scotty), her husband, assists Carol with her photography and has been associated with Living Waters Publications / The Way of the Master since the year 2000 fulfilling many of their audio/video needs and is currently on staff. Scotty and Ray also preach the Gospel open air every Saturday at Huntington Beach Pier Plaza at 1:30 PM. We have a passion for quality photography and enjoy the opportunity to bless others with the ministry God has given us. We trust all of you who visit this site will be blessed and that Christians are encouraged to share their faith in Jesus Christ. We implore everyone to ask themselves this most important question: Are you a good person? Goto NeedGod.com and take a quick test to see if you are. You will be surprised with the answer." P.S. If you would like to contact us, just add a comment to any of the pictures. We will get back to you.